Starlets lose 3-1, match ruled with controversy officiating – Kenyatta University TV (KUTV). All Rights Reserved. 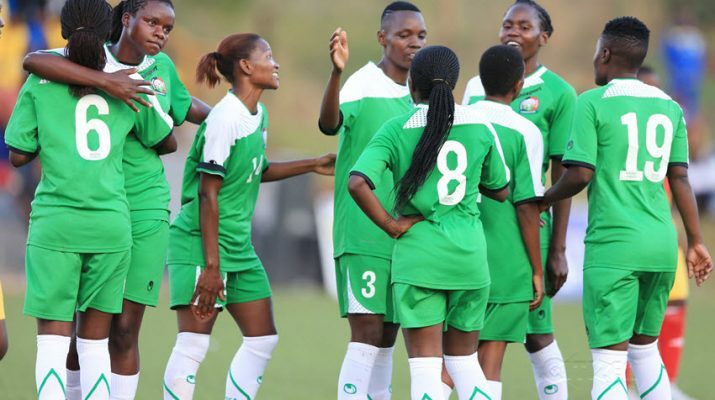 Harambee Starlets began their Africa Women Cup of Nations (Awcon) games with a surprising loss to Ghana women National Team in Limbe on Sunday. as champions Nigeria took control of Group B with a 6-0 whitewash of Mali. Starlets were humbled with a 3-a painful loss by Ghana as champions Nigeria took control of Group B with a 6-0 thrashing of Mali. Starlets opened the scores after Esse Mbeyu Akida crisp finish gave the Starlets the lead in first half. Minutes later, a free-kick saw Samira Souleyman scored the leveling goal before the break. Ghana was awarded a penalty that raised a lot of controversy in the 71st minute, and Ghanaian girls capitalized on the opportunity and made it a 2-1 following Elizabeth Addo perfect shot.